Fans in Israel won’t get to even watch the playoffs being held this season. With one game remaining for the completion of the Regular Season, the 2017-2018 Israeli League season comes to an abrupt end due to the Israeli players’ strike, the Winner League officially announced. The Winner League board of directors took this decision after a meeting that was held today. The League’s announcement mentions that there had been “great efforts” to reach a solution with the players’ association in order for the games to be resumed but after some long negotiations, the proposals made by the League, weren’t accepted by the players. Sports Minister Miri Regev provided a compromise plan and that was also rejected by the players, per the League announcement. Israeli players had called a strike regarding an upcoming change in the so-called “Russian Rule”. According to the rule, each team was obligated to have at least two Israeli players on the court at the same time. The change in the rule would no longer obligate the clubs to use Israeli players in such way and that could potentially decrease their playing time and role within the team, hence the Association’s decision for a strike. As of now, it is unknown how will the 2017-2018 champion be decided. 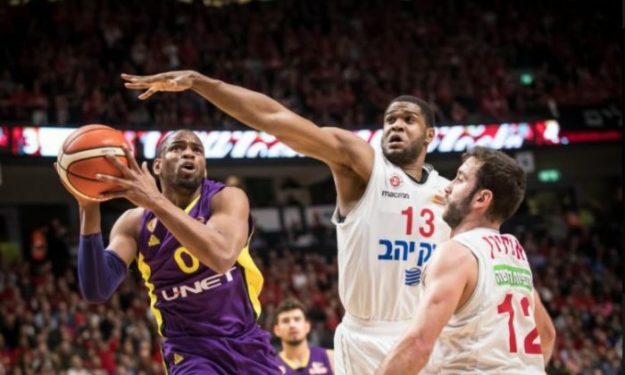 Hapoel Holon and Maccabi Tel Aviv are currently tied at the top standings with a 22 – 10 record.